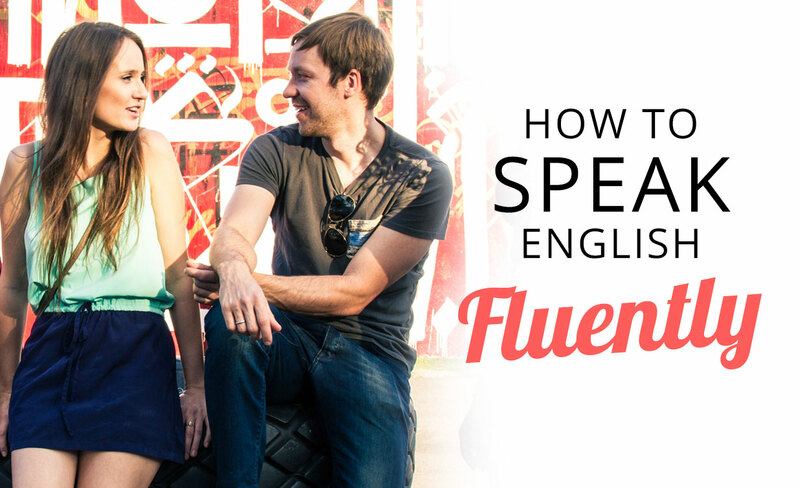 Keep reading to find out how to speak English fluently. It’s that simple! Think about all of your teachers that told you, “You’re not ready for this, you have to learn how to walk before you run.” Well, I’m here to tell you that they are wrong. If you want to speak English fluently you are going to need to speak English when you are out on the town, asking for directions, ordering a cup of coffee, or just shooting the breeze with Joe Schmo while waiting for the bus. You won’t say everything perfectly, you won’t understand everything, you may not even be understood all of the time, but you’ll be trying and that’s what counts. If you try to walk before you run, you will starve for fear of ordering a sandwich in English. Don’t starve, take off running and you will soon speak English perfectly. Don’t focus solely on one skill. Do focus on all of the skills that you need to improve your English. Some students say, “I hate grammar, I just want to speak.” Others rely far too much on grammar, completing exercises, and taking quizzes but at the end of the day are afraid to speak English. Are you one of these people? In order speak English fluently you need to be able to complete grammatically correct sentences and pronounce them in an understandable fashion, but you don’t want to be so cautious that the sentence never comes out. Remember, you want to SPEAK English fluently. By becoming well-rounded in English grammar, writing, listening and pronunciation, you will improve your English speaking skills. You may ask yourself why you need to be open-minded to speak English fluently. I think Charlemagne summed it up best when he said: “To have another language is to possess a second soul.” If you don’t know who Charlemagne is then maybe you should be studying history instead. No, wait, I know, you should study history in English. Jokes aside, in order to learn a language you need to learn another culture. Many doors will be opened along the way and you you will be able to speak to more people from around the world. You will learn new songs, traditions, and jokes. Essentially, you will take on a second identity so keep an open mind on your path to English perfection. Of course you need some of the traditional “textbook-heavy” approach when you study English, but make sure that you’re also exposing yourself to real life contemporary English. Remember, you want to speak English fluently, and for this you need to know how we native speakers really speak. Why is this important? Well, when somebody says “What’s up?” you don’t want to point to the sky, do you? You also might not want to say, “I’m fine and you?” Maybe, you’re not fine, or maybe you’re just tired of responding with the same phrase over and over again. Okay this example might be a little extreme, but you catch my drift. Students who are too focused on textbooks are generally inflexible when it comes to real-life situations and may find themselves lost when a native speaker uses a collocation that they have not encountered in a traditional ESL book. If you are really serious about learning English fast and you want to speak English fast, then sign up for English classes at a school or on online via Skype. Most students benefit from having an English teacher and participating in a regularly scheduled class. Take as many classes as you can every week or every month. The more classes, the better. If you can, try to find a small group class with a native speaking English teacher. Make sure that your teacher has experience, understands the intricacies of English, but most importantly is a good teacher. If you can’t take small group classes, take a private English class. A private class is usually a little more expensive, but you will focus specifically on what you need and you can move at your own pace. Try not to judge the teacher based on your ideas of how a teacher should be and how they should teach, judge them by how much they motivate you to learn English. Every teacher uses their own particular style, but a good teacher inspires the student and pushes them further. If you have read this far then I know you’re serious, but are you calm? You have to be calm if you want to speak English fluently. Getting all wound up will do nothing but make you feel hopeless and discouraged. As they say, “Rome wasn’t built in a day” and neither will your English be learned in a day. Learning how to speak English fluently will take a long time, but that doesn’t mean you can’t have fun along the way. So, keep calm and study on! Well, there you have my advice. Now it’s up to you. If you have any questions about English or accent reduction, please ask. Remember, you can speak English fluently if you put in the time and turn your language on!